There are several type of Title II firearms (those sold by Class 3 SOT FFLs) that are restricted by the National Firearms Act. Each state can impose additional restrictions on the sale, purchase, and transfer of Title II or NFA firearms. These laws or restrictions are in addition to the compliance that is required with the National Firearms Act. There are several states which are working on changes to firearms laws at the current time. Alabama is in the process of legalizing hunting with suppressors Georgia is in the process of legalizing hunting with suppressors Iowa is in the process of legalizing suppressors Washington State has both a house bill and senate bill legalizing the use of Short Barrel Riffles. These new legislative initiatives should greatly increase the sales of suppressors and SBRs in the above states. If you are looking for a Gun Trust to create purchase, manage, and own NFA firearms contact us to find out more about a Gun Trust Lawyer® in your area and the benefits to using a real gun trust. Are Machine Guns Legal in Washington State? Mark Knapp a Washington Gun Trust Lawyer® and firearms lawyer has written a blog that deals with the possibility of obtaining a legal machine gun in the State of Washington. Generally Machine guns have been illegal to import or transfer in Washington State since 1994 and then only those that were manufactured and registered with the NFA before the 1985 ban were permitted. Those who owned them prior to the 1994 Washington ban could keep them. There seems to be some ambiguity in the law which may permit certain people to obtain certain Machine Guns. It would not be an easy process and would involved a WRIT OF MANDAMUS which Mark called a long shot. While we had previously speculated that this bill would become law by failure to veto, the Governor actually signed it. According to the Second Amendment Foundation, Silencers should be legal to shoot 90 days following the end of the 2011 Session. Unless ended earlier, this would mean that you can shoot your silencer legally after July 24th 2011. 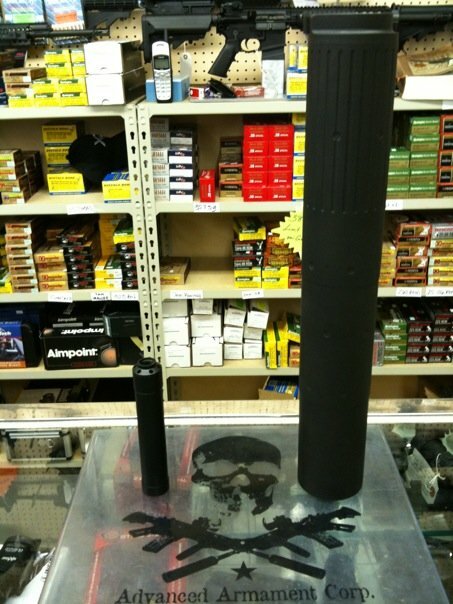 It’s time to order your silencer if you do not already have one. You could have your Form 4 paperwork approved in time to shoot it legally on the first day. A Washington state gun store prepared an invalid trust for their customer and the ATF approved three Form 4 transfers. Not only is the preparation of a trust by a non-lawyer the unauthorized practice of law, but it also could put you at risk of an invalid transfer, possession, and use charge by the ATF which could subject you to forfeiture of your firearms, a $250,000 penalty, and up to 10 years in jail. This particular gun store trust did not have a trustee, a successor trustee or a beneficiary and was missing required schedules that were required for validity by the way the trust was drafted. Joshua Prince alerted me to a blog post on a developing situation he ran across on Subguns where an individual used Quicken to attempt to create a trust for NFA purposes. Unfortunately the BATFE has now decided that his Quicken trust was invalid and is seeking to seize his MAC-11 and Silencer. He could also be subject to a prison sentence of 10 years and $250,000 in fines. This is a very unfortunate situation that could cost the individual severely. Its important to remember that just because the ATF approves your transfer, it does not mean that you are legally in possession. This is the second situation involving invalid trusts and the ATF that we have seen this month. It looks like the ATF is beginning to look more closely at the trust documents they are receiving. If you created a trust for NFA purchases in Quicken, Legal Zoom, or used another generic trust that was not reviewed before by a lawyer before submitting it to the BATFE, you should contact a NFA trust attorney to review your trust for validity. If you need help finding a local NFA Trust Lawyer we can help. We work with attorneys in more than 40 states including Florida Gun Trust Lawyer®s and South Carolina NFA lawyers to help review and create valid NFA trusts.